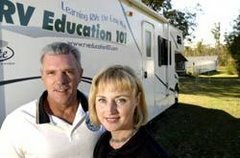 Learning RVs the easy way, through comprehensive video and written text with RV expert Mark Polk. The RV 101® online training program is reputable, thorough, easy to understand, self- paced and affordable. The video training courses can be viewed from computers, tablets, and smartphones. Each course includes written text, full-feature video segments. short video segments, related articles written by your instructor, helpful tips & tricks, fun RV play & learn crossword puzzles and quizzes to help you retain the information. Through these specialized RV training courses you can learn how to use an RV, maintain an RV, tow a travel trailer or 5th wheel trailer, drive a motorhome, and much more. And unlike other programs, we never inundate you with unwanted emails. The Seal-Tite™ Window Foamcore Kit is designed to provide you with everything you need to repair a leaking RV window or to reseal a RV window! It contains enough Foamcore in the kit to reseal up to 6-8 windows, depending on size. It requires no trimming, it will not sag or ooze, and it has excellent temperature resistance in warm and cold climates. The round shape of the Seal-Tite Foamcore allows precise placement around the window radiuses and it will not gap, fall off, or roll. RV 101® with Mark Polk: Before hitting the road it's important to do some basic maintenance on your RV -- especially on the parts that get used the most. In this RV how to video Mark demonstrates how to lubricate your slide outs using 3-IN-ONE® Slide-Out Silicone Lube. boost your cell phone signal, this product is for you! 5 Important Summer RV Checks: RV expert Mark Polk shares his top checks before heading out for a summer RV trip. 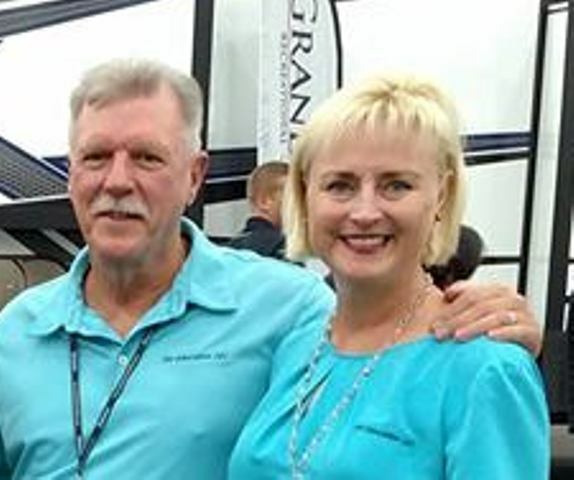 Also on this week’s show, we continue with RV Education 101 Drivers Education series as Mark and Dawn Polk show us how to properly gage the “tail swing’ on your RV. Understanding 'tail swing' can prevent accidents at the gas pumps and in other tight spaces. It’s simple, but if you don’t know how to do it correctly, you could be the subject of the next campfire discussion. RV 101® with Mark Polk: How To Sanitize the RV Water System Using Regular Household Bleach. It's a good idea to sanitize the RV water system using regular household bleach when you take the RV out of storage, or anytime you notice an odor. Find out how it's done In this RV how-to video. unhitch a 5th wheel trailer.